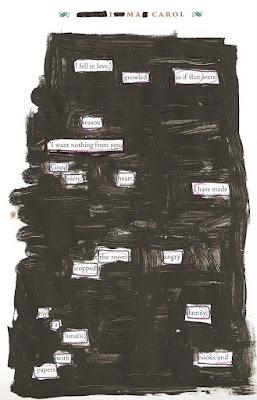 I've been revisiting this thing I did last year, where I did an erasure of A Christmas Carol, and then turned it into what I like to call a replace-ure, by pasting the resulting poem into a Peanuts strip. I also replaced their faces in some of them, which changed the tone so drastically that I was a little creeped out. 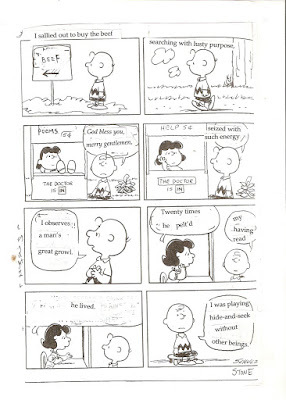 The Peanuts are one of my favorite comics ever. I like when they sit on the brick wall and talk. 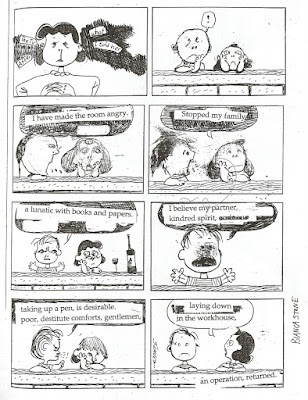 It opens it up to so many possibilities, it's a perfect example of poetry and comics being synonymous souls; akin in execution. There's perfect timing and rhythm and space in these Peanut strips.